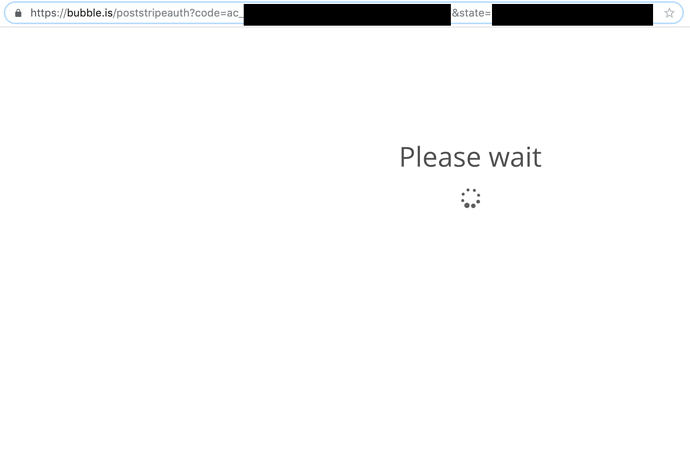 I know creating a stripe seller account has been asked before but I just can’t get this working. I was using the Stripe.js plugin. It worked for collecting CC info & accepting payments. I have the API keys set properly, with the Bearer heading. Now, I’m trying to Create Custom Sellers. However, when I use the stripe.js plugin, it says there is a bug related to an invalid request parameter. It works, and it goes through the Express account setup. Here I run into two problems. 1) It only displays the express setup as ‘Test Data’ (even in Live Mode). 2) Once the express account is filled out, it goes to the https://bubble.is/poststripeauth URL with the seller accnt number. Then it displays “please wait” with a loading circle and nothing happens after that. If someone could help me with registering Sellers I would greatly appreciate it. I am trying to pay my sales reps commission. So looks like the Connect URL Approach is the way to do it for now…any help appreciated.